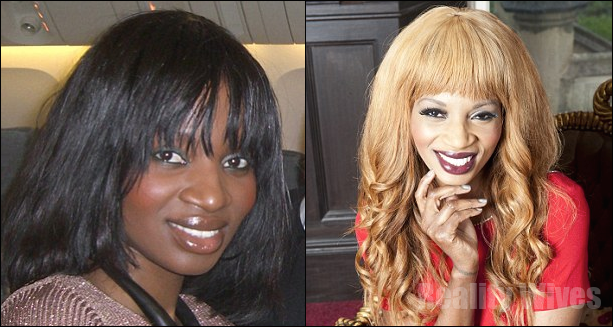 Former model Irene Major is a very wealthy woman who loves being lightskinned with the help of bleaching creams. Irene is married to Canadian oil tycoon Sam Malin, she has tried everything from super-expensive Creme de la Mer moisturisers to the services of the most exclusive Harley Street dermatologists. Irene, is originally from Cameroon, admits she also regularly uses skin-lightening creams to alter the colour of her complexion. ‘When my skin is lighter, I just feel prettier. It’s a taboo subject, and people get judgmental about it, but that’s how I feel. A skin-lightening regime has been part of my life practically since birth. There are many different types of African skin, from dark charcoal to a lighter version and you grow up knowing that the lighter ladies are the prettier ones. It’s just a fact. Anybody can use it, and everybody does. Just look at all the pop stars whose skin has got so much lighter over the years. Many celebrities do it. We’re just turning a blind eye to it. Two months ago, High Street health store Holland & Barrett came under fire for selling a legal skin-whitening product called Dr Organic Royal Jelly Skin Body Whitening Cream, which retails for £9.99. The sale of the product provoked outrage, with some accusing the chain of encouraging racist ideals. 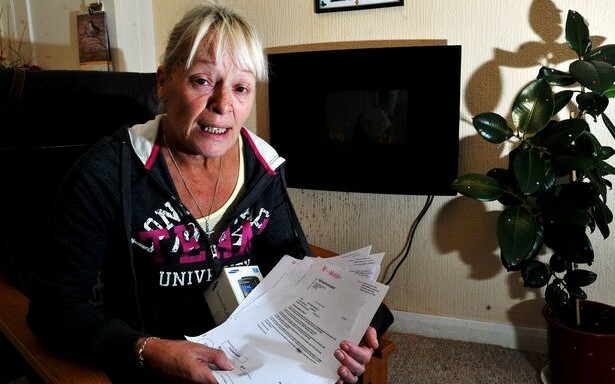 Yet Irene, who’s 34 and lives with her husband and four children in a Kent mansion, claims that in some communities the pressure on women to use such products is overwhelming. In a statement, Holland & Barrett said the product did not contain “harsh bleaching agents, saying the core ingredient was a brown algae that has proven skin-whitening attributes especially for use on age spots, liver spots, freckles, sun-damaged skin, scars, blemishes, dark elbows and knees as well as general skin brightening”. There is a huge market in illegal creams, soaps and pills, many contain highly dangeroud ingredients such as mercury, bleach and acid. The worst of these, a chemical called hydroquinone, is officially banned in the EU, but can still be prescribed by dermatologists for cosmetic reasons — and isn’t hard to find in the UK. Hydroquinone is the biological equivalent of paint stripper. In removing the top layer of skin, which initially results in a ‘brighter’ looking face, it also removes the body’s natural defence against infection and the sun, increasing the risk of skin cancer. If it enters the bloodstream, it can cause fatal liver and kidney damage. Skincare expert Sujata Jolly, who founded her clinic Clinogen Laboratories in Windsor 30 years ago, has treated many women desperate to reverse the chemical’s effects.